It’s HERE! 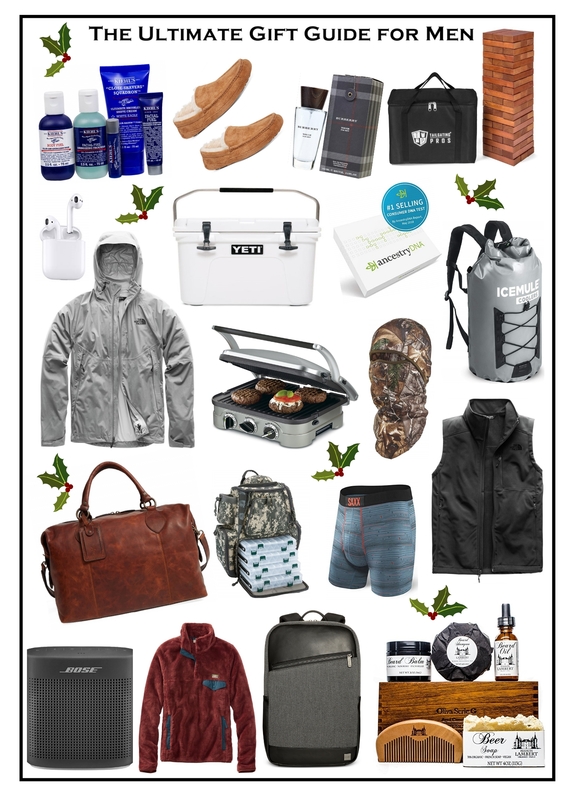 The highly anticipated Ultimate Gift Guide for Men is HERE, which includes 50 gift ideas! 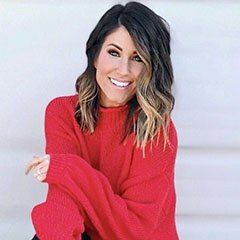 I asked my community on Instagram to share their gift ideas for men, either what the men in their life have asked for and/or things they have given them in the past that they absolutely loved. Let me tell you, you ladies did not disappoint! You submitted so many fantastic gift ideas for men! We rounded up 50 of the most common and most unique gifts that you all suggested. NOTE: These items are in no particular order. I’ve provided direct links to as many as possible, but I wasn’t able to find exact links for everything. 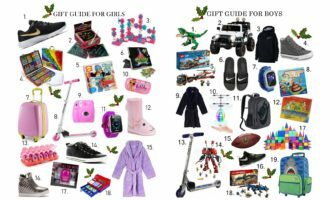 Also, I know this is a very lengthy list, and it may take a minute to get through, but I promise there so many REALLY great gifting ideas! If needed, just save this to your favorites and refer to it later. TIP: Any pink text you see below will take you directly to that specific item! Just click that item to see more about that product and/or to purchase. 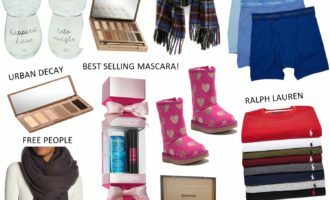 50 Gift Ideas For The Men In Your Life! Sport gear for their favorite team! THIS is a great site for that! // Also, sports tickets was a popular one! Cologne // My ALL TIME favorite cologne can be found HERE. Beard Care related items. – Here’s a Top Rated Beard Kit on Amazon, found HERE. Gun Safe // There tons of different sizes and pricing options HERE. Tools // Lots of options and brands available on Amazon HERE. Engraved / Personalized Cigar Box and cigars // This one is just $29 with AMAZING reviews! Whiskey/Scotch sets and items // This is on Etsy with amazing reviews, available HERE. GoPro // I’m not sure which ones are the best, but there are a TON on Amazon HERE. Wall Mount Shop Vac for garage! // There are so many at different price-points, view them HERE. Any and all hunting things! // I wasn’t sure what specific items everyone wants, but I got Kyle THIS. Griddle // There are so many to choose from, but this is the Top Rated one on Amazon (HERE). Corn Hole Boards // You can get nice personalized ones HERE or generic ones HERE (we have this set). Drone // There are soooo many to choose from! Tons on Amazon HERE. Journal // I think something like THIS would be great! UGG Slippers // Size UP in this pair! North Face Vest // 20% OFF one item with code: TAKE20NOVEMBER (ends soon). Frye Weekender Bag // Another option HERE. Dupe option HERE. Beer Making Kit on Amazon // No one specified which one on Amazon, but you can see them all HERE. Personalized Apron // Found several great options on Etsy HERE. Touchscreen Texting Gloves // I had NO clue these even existed! Man Crates // So many of you said your husbands love these!! The Real Dill Bloody Mary Mix // I added this one because it’s sooooo GOOD! A lot of you also suggested experiences as gifts…hunting trips, etc. 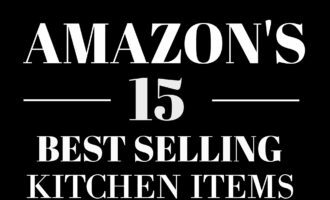 I’m so excited about this list and the number of great gifts that I was able to purchase from it. THANK YOU so much to everyone who gave gifting suggestions. I truly love the community that we have here! 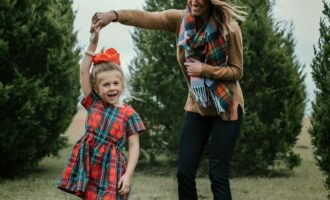 Let me know if you like to see something similar for women, teachers, grandparents, etc. Best list ever!! Thanks so much! Ohhhh don’t forget these heated jackets and Sweatshirts! I got my husband the jacket for those cold mornings on the tractor. I bought him remote controlled insoles as well! MACK WELDON !! I found this brand last year. It’s mostly mens under + lounge wear, but it is incredibly soft and amazing quality. My husband is obsessed. Plus if you spend enough and become a member every order is 20% off and free shipping! Wow! That’s a great list!! Thank you so much Jen! Another great gift for your hunter would be a Leupold scope. My husband loves them.